Who are our Wellbeing Consultants? Neurofeedback is offered at Starjumpz by practitioners Joanna Brett and Lou Whitehorn. 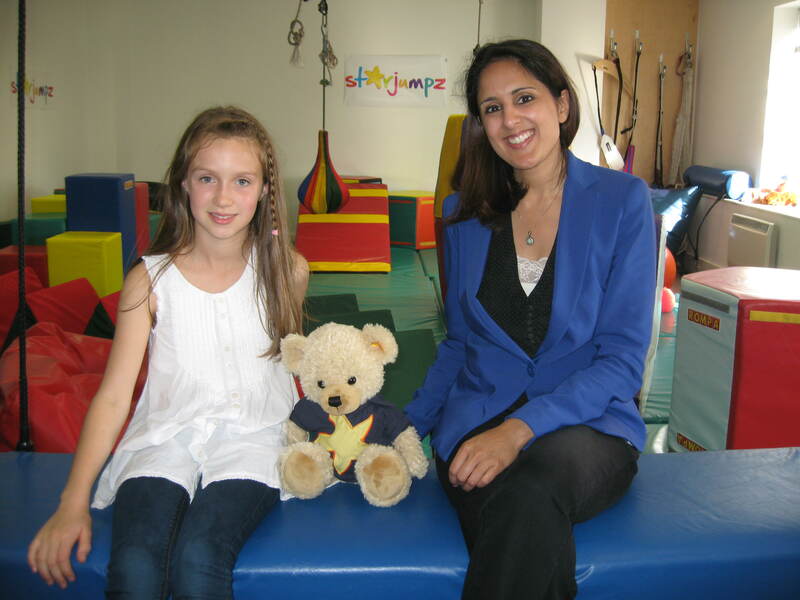 Neurofeedback treatment for ADHD at Starjumpz featured as lead story on ITVMeridian news. 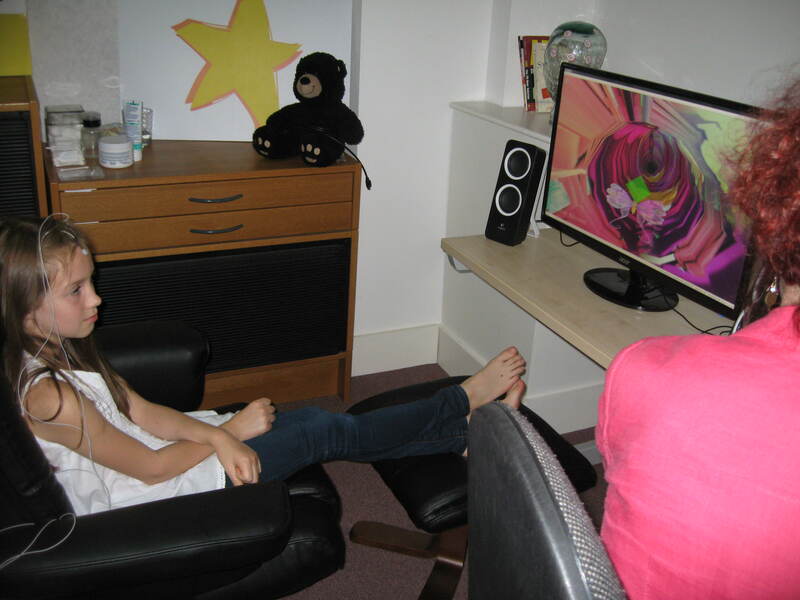 Ella a 10 year old with ADHD who has attended Starjumpz for Neurofeedback treatment, is just one of the children who has made exciting progress following this treatment. Her mother Caroline, who did not want to use medication as a treatment for Ella, has reported improvements in her concentration, learning, emotional maturity, sleep, disappearance of tics and her headaches have stopped. She also reported that Ella can now walk to school down country lanes which previously would have been impossible. Click link below to view ITV news item on ADHD and Neurofeedback at Starjumpz, including Rory Bremner. Link to interview with Professor Kendall from NICE. Why Neurofeedback? Jo Buttle Educational Psychologist at Starjumpz. As an Educational Psychologist, working with children and young people with a range of conditions, including for example ADHD, ASD, dyslexia, dyspraxia and anxiety, I explored the range of supports and interventions available. My research led me to discover Neurofeedback, a technique increasingly used in America to treat a wide variety of difficulties and symptoms in children and adults. Neurofeedback supports brain regulation. ASD, ADHD, dyslexia, dyspraxia and anxiety and indeed the majority of the symptoms associated with most physiological and mental conditions, may be considered the result of some form of brain disregulation. Neurofeedback is a safe, effective and lasting alternative to medication in the treatment of many of the symptoms associated with brain disregulation. Whilst medication treats the chemical imbalances associated with physiological and mental conditions, Neurofeedback treats the bioelectrical functioning of the brain. Training the brain to self-regulate for optimal brain function enhances the function of the central nervous system thus improving mental performance, emotional control and physiological stability. Improving self-regulation and improving brain functioning will thus often reduce the need for medication. In addition to reducing the need for medication, improving brain functioning and self-regulation can provide a longer term solution. Neurofeedback trains the brain to function more efficiently. Problems of brain disregulation, which ADHD is often considered to be, are treated by teaching the brain to self-regulate and to function better. Brain activity is measured by Electroencephalography (EEG) which records tiny electrical signals. This assesses how well the brain is performing. Using advanced technology, this information is analysed and fed back to the brain via a video game. This helps determine which brain wave frequencies need to be encouraged (increased) and which need to be discouraged (decreased). When the brain is working well, it is rewarded, for example, by the game becoming, faster, louder or bigger. When the brain is not working well the reverse occurs. Through this system of positive reinforcement, the brain learns to adjust to optimal brain functioning. The brain is an extremely complex organ and does this increasingly easily and automatically over time. All that is required is for the individual to relax, respond to the feedback and practice over a number of sessions. The recommended number of sessions is 20 and this generally provides sufficient training for the brain to automatically continue to self-regulate effectively.